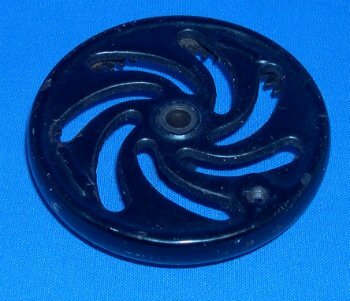 This black 7 spoke wheel fits a Singer 20-10 toy with a rectangular base that is approx.4 1/2" x 3 3/8". Part #29954. No other parts included.